The professional shoe fitter's shoehorn is now available to the public! This high quality Cranberry Pearl shoehorn is made with US sourced cold rolled steel that is shaped perfectly and finished using high tech procedures by US workers. This ensures that this is the best shoehorn on the market today! You'll be able to see and feel the difference with the Profitter's smooth edges and stylish finishes. You won't be disappointed! Made in the USA. 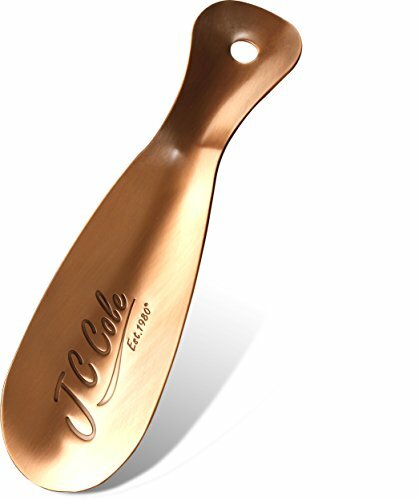 If you have any questions about this product by JC Cole Est 1980, contact us by completing and submitting the form below. If you are looking for a specif part number, please include it with your message.